Chris Eubank brings out a short but brutal highlights video of his knockout victory in the WBSS quarter-finals. 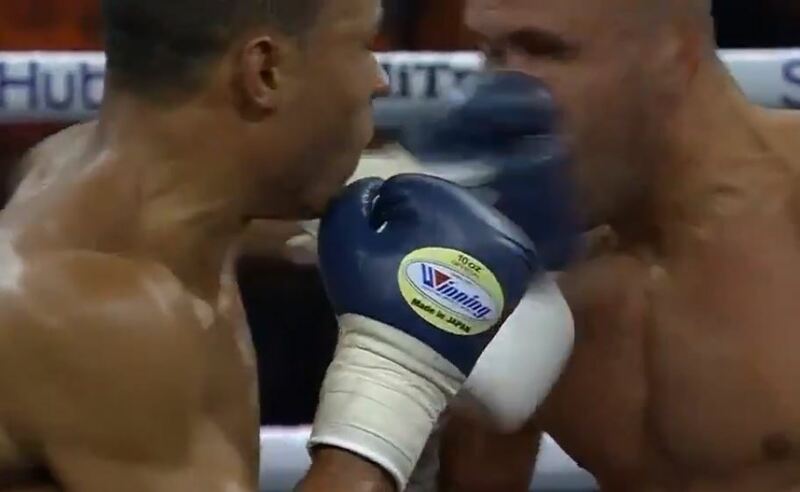 Turkey’s Avni Yildirim became the latest victim on the Chris Eubank Jr hit list recently following a stunning knockout delivered in Germany in the quarter final of the World Boxing Super Series tournament. It secured Eubank Jr a place in the semi-finals next up against fellow Englishman George Groves – who also recorded an impressive stoppage win in his quarter-final fight of the tournament. Going into the fight with his Turkish opponent there was a lot of trash talk between Yildirim’s manager and a member of team Eubank in possibly one of the nuttiest press conferences of the year. However it was Eubank Jr who proved to have the last laugh. No exact date has been confirmed for Eubank Jr vs Groves as of yet but it is thought that it will happen very early in the new year, at the latest in February. The UK being the front runner for a country to stage it at this point.